Going a different direction on a dance, costume and theme is a risk many teams take. 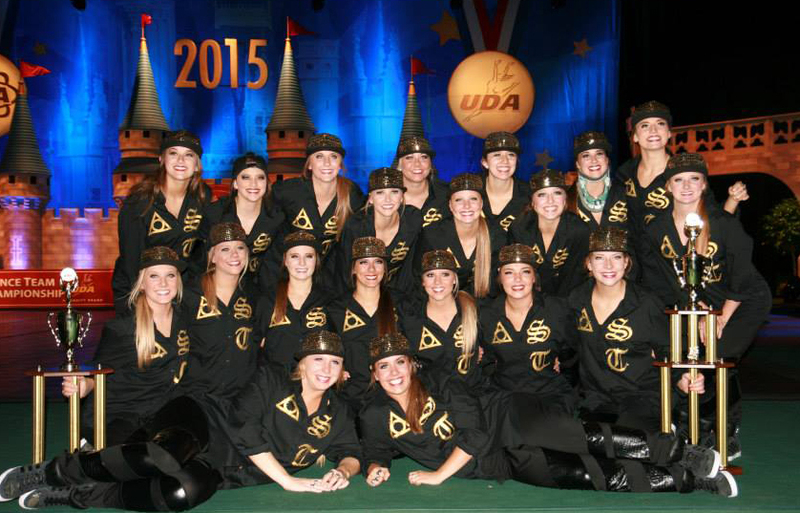 This past year, the University of St. Thomas Dance Team (located in Minnesota, not the island) took a major risk with a one song, Justin Timberlake and Jay-Z "Holy Grail" routine at the 2015 UDA College National Championship and it paid off! 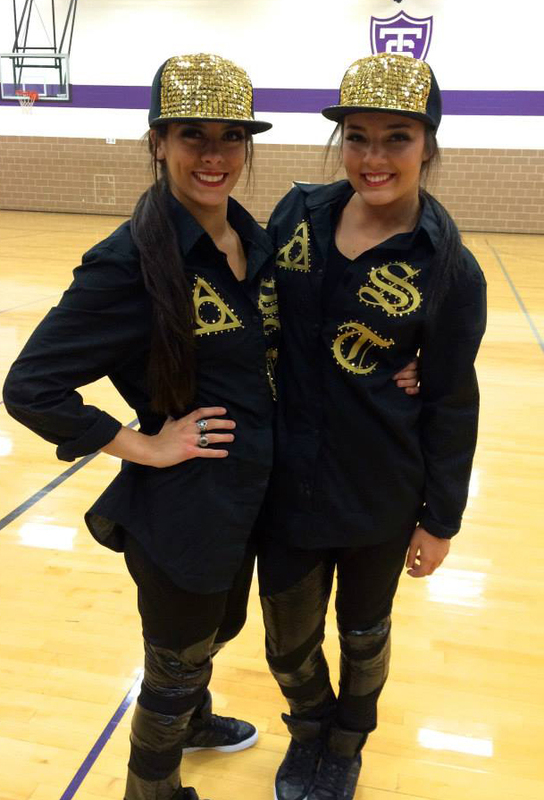 We were eager to bring their costume vision to life and match the "JT swag" they were going for. Established choreographer, Shandon Perez, wanted the girls to be in all black - sophisticated but still edgy. We knew that a combination of different black fabrics would add dimension and texture to the costume. Their costume inspiration, below, really helped our designers understand the look they wanted. The team bought men's black dress shirts and The Line Up applied the gold letters and symbol. The triangle on the right side of the chest has a secret team meaning and the letters "S" & "T" stacked on the left are for, you guessed it, St. Thomas. The team also added gold rhinestones to make the lettering pop on stage. Custom harem pants were made in a stretch matte black wickaway fabric (to allow for movement) with a faux crocodile leather blocking that wrapped the leg from the calf to just above the knee. The different fabric textures gave the pants more interest so the pants didn't fall flat on stage. 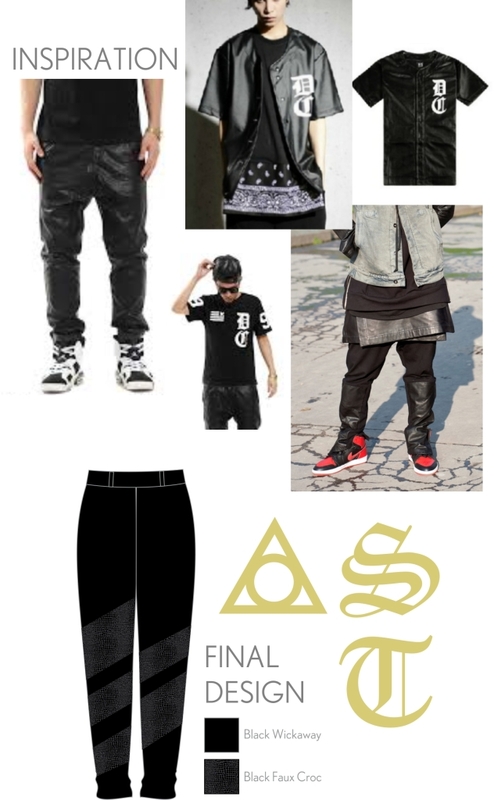 The costume turned out phenomenal and was a standout hip hop look for 2015. 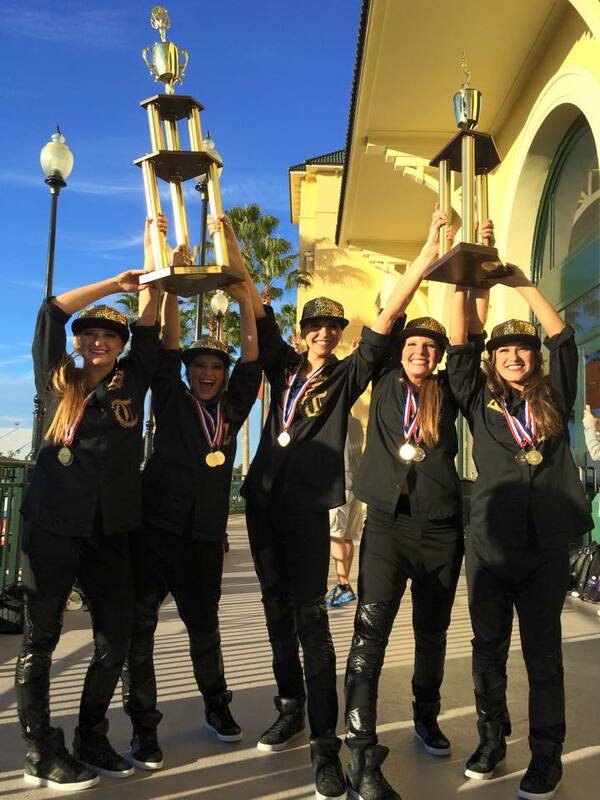 Congratulations USTDT: 2015 Open Hip Hop National Champions! 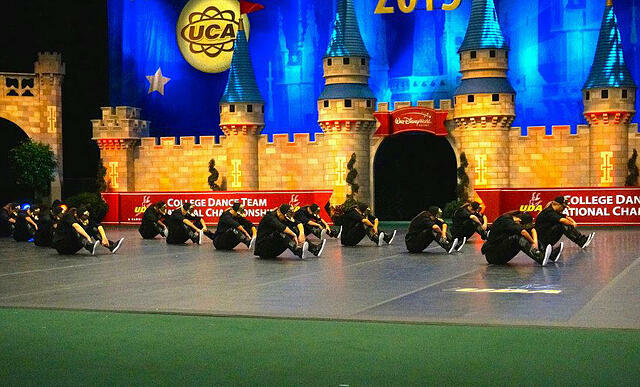 And here's a video of the routine!